Your phone works fine for quick notes on the go, but for a more fleshed-out note taking experience, you'll turn to your Mac. Desktop apps enjoy the lion's share of features over their mobile and often web companions, and most major note taking services offer a native Mac app to take advantage of. 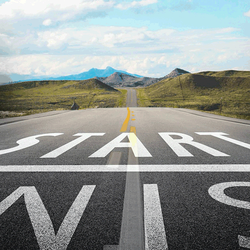 But with so many options on the market, it can be tough to sift through them and determine the best fit for you. We've tested over 30 Mac note taking apps, and here we'll present the eight best, so you can pick your personal winner. What Makes a Great Note Taking App for Mac? For starters, we narrowed down the pool by only considering apps that are primarily note taking apps. That means we excluded things like word processors, text editors, and journaling apps. Even with that, there's still an ocean of apps to choose from. 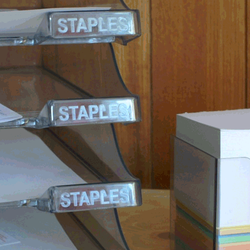 In terms of core features, an effective system of organization in the form of notebooks, folders, or tags is a must. It should be just as easy to get information out of the app as it is to store information in the first place. Nearly all note taking apps include a search engine, but the best ones include powerful search engines that can search images, handwriting, or filter by set criteria. Since most users require access to their notes on the go, all of our apps include options to sync with other instances. There are mobile versions of each entry that can be used to create or access your data on the go (though, since this is for Mac users, not all of the apps necessarily have Android versions at present). All of the apps on our list are also easy to use. Competency in design, a pleasant UI, and a responsive text editor create a positive user experience that we valued in our testing. We tested a number of Mac apps that felt more like wrappers for web apps—those didn't make our list. Having said that, not all of our chosen apps have a long list of features: Some are designed with simplicity in mind, others for solo note takers, and some for teams who need to collaborate. But they all offer a unique feature that sets them apart, and they all offer a sense of value for their price tag, whatever that may be. Comparisons between collaborative, business-oriented note taking apps for the workplace and simple, plain text note taking apps for personal use can be difficult. But ultimately these differences don't matter, provided the apps satisfy their intended function. Apple Notes is installed on every Mac as part of Apple's productivity suite. What began as a simple iOS note taking app has evolved into a feature-packed cross-platform note taking solution. 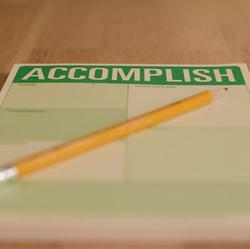 You can capture rich text notes with formatting, in-line images, checklists, and tables. There isn't a tagging system, but you can pull notes into folders or pin them to the top of the stack for better organization. The app supports attachments in the form of photos and videos, document scans from your iPhone, hand-drawn sketches, audio recordings, or document files. You can add items directly to your notes by clicking the Share button in apps like Safari, Mail, and Apple Maps. Click the Browse Attachments button on the app toolbar to browse your entire note collection by the attachments you've amassed. And Apple Notes isn't just a solitary note taking app. You can collaborate on notes with others by clicking the Add people to this note button and sending an invite via email, AirDrop, or iMessage. Keep in mind that other users will need an Apple ID in order to take part. You can also lock notes to keep them private, and choose to store notes locally on your Mac or on Apple's servers. Apple Notes will sync via iCloud and push content to other instances of macOS, your iPhone, or iPad, and is accessible on the web at iCloud.com. A dedicated app is only available on Apple platforms, so Apple Notes might not be the perfect solution for users who also use Android, Windows, and other platforms. 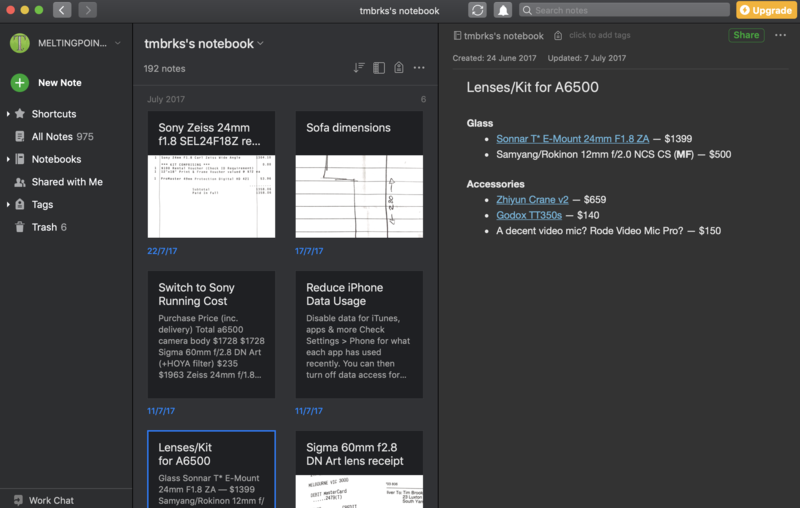 Evernote is one of the most feature-rich note taking apps out there—it takes an exhaustive approach to capturing everything. 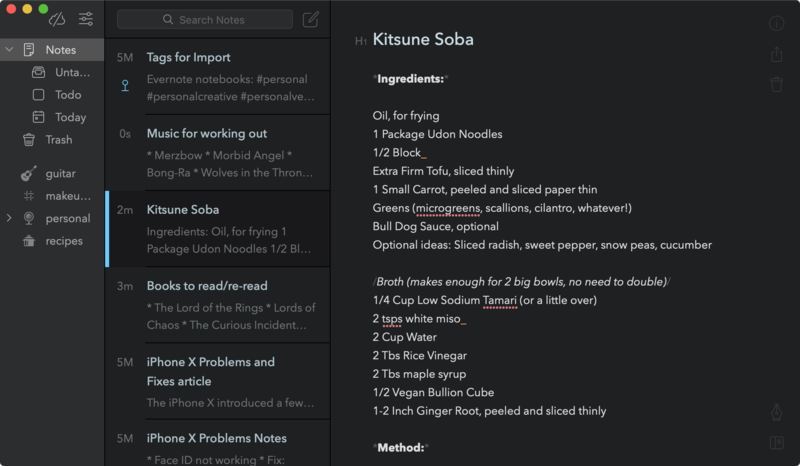 Store rich text formatted notes with in-line images, tables, file attachments, and checklists. If you want your notes to be consistent, you can use templates for everything from weight loss trackers to marketing plans to meeting agendas. And if you click the Add Reminder button to add an alert to your note, Evernote will notify you at the right time. All of your notes are stored in virtual notebooks. Create as many notebooks as you need, and then group relevant notebooks together in "stacks" for further organization (a feature that's specific to the desktop app). You can add tags to your notes as you create them and then browse by tag, but the search is where Evernote shines. Do a full-text search of titles, note content, and even text within PDFs and images. Bottom line: It's easy to find what you're looking for. Download the Evernote web clipper for your browser, and use it to capture entire web pages in a click. And for users willing to upgrade to Evernote Business, third-party integrations run deep. Insert files directly from cloud storage providers like Google Drive, or send content from 1,000+ apps to Evernote via Zapier. Free users beware. 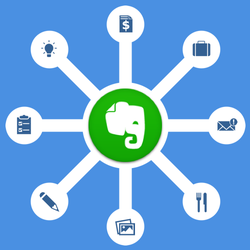 Evernote imposes two fairly heavy restrictions: an upload limit of 60 megabytes per month, and a two-device limit for syncing. In order to sync anything other than your Mac and smartphone, you'll need to cough up for a premium plan. It's also a fairly bloated app if you're not going to be using all of the included features. Performance can take a hit depending on how much you've stored and the age of your Mac. Evernote Price: Free for Evernote basic; from $7.99/month for Evernote Premium, which offers advanced features like digitizing receipts, searching PDFs, and seeing version history of your notes. 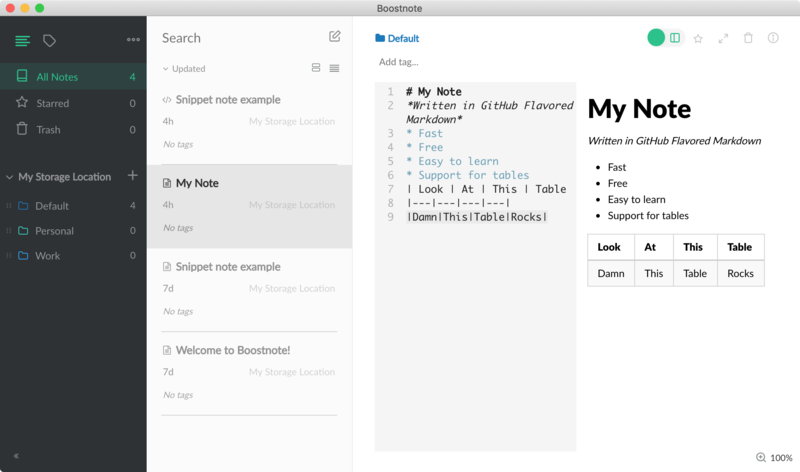 If you like the look of Evernote but don't need all the advanced features, Joplin is a completely free and open-source Evernote clone that mimics the popular note taking app's interface. 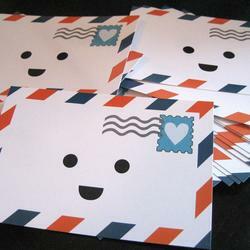 It uses an identical method of organization, with notes stored in Markdown format. Joplin has robust support for the import of Evernote's ENEX files, which makes switching over a breeze. Cloud sync options include Dropbox, OneDrive, and WebDAV. Just like Evernote, Joplin stores data locally before pushing it to the cloud to avoid data loss and has full support for attachments. OneNote is a free alternative to Evernote, but it's not a carbon copy. Microsoft's free note taking app takes a scrapbook-like approach to data capture, allowing you to place elements like text boxes and images on the page by dragging and dropping. Mix different media types within a single note, add tables, record audio clips, embed videos, and attach documents. And with Zapier's OneNote integration, you can automatically create notes based on things you do in other apps. 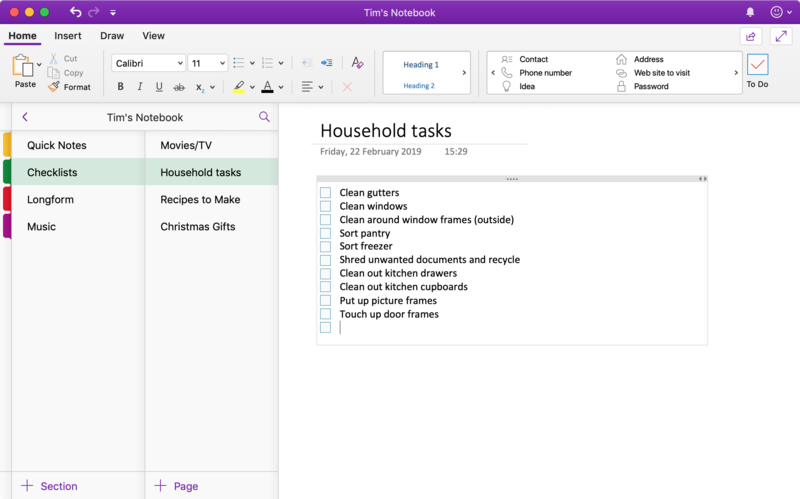 The OneNote organizational method has a similar hierarchy to Evernote: Pages (notes) live in sections, sections live in notebooks, and you can create as many notebooks as you need. Preloaded tags live in the main "ribbon" toolbar, and there are recognizable icons, with entries like to-do (a clickable checkbox), critical (an exclamation point), and movies to see (a film cell). You can search for tags by clicking the search tool followed by Tags. Notes are synced via OneDrive, Microsoft's cloud storage service. This means that unlike Evernote, there are no monthly quotas. Your OneDrive storage quota dictates how much you can store, with 5GB of storage provided for free when you sign up. Just like Evernote, OneNote provides a web clipper extension for major browsers including Safari, Chrome, Firefox, and Edge. The OneNote Mac app features a number of benefits over the web version, like the ability to play audio and video embeds, preservation of formatting when copying and pasting text, and the ability to create and apply custom tags. Check out the full list of differences between OneNote Online and the desktop versions. Bear is a breath of fresh air in the note taking space. The app was designed with prose in mind, and thus places a strong focus on typography. Few apps in this space present your writing so elegantly, and it's clear developers have taken time when choosing default fonts, text sizes, and color schemes. 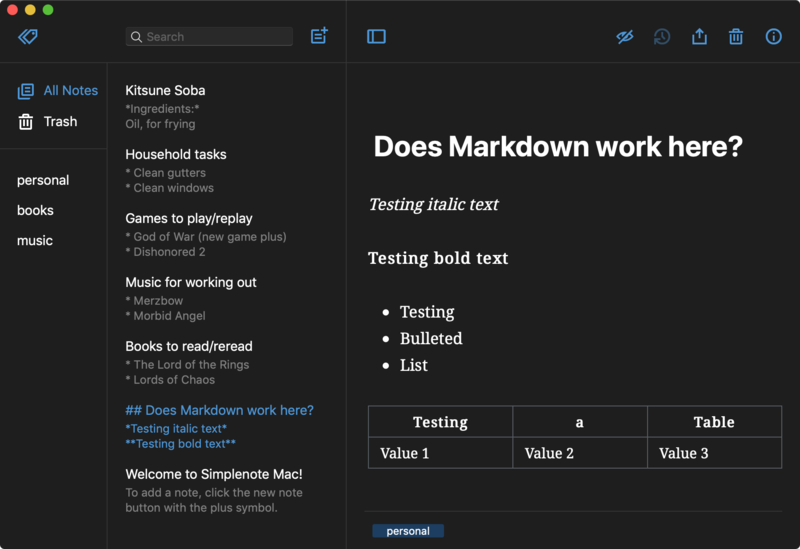 Capture notes in Markdown, and have Bear format it as you type, while still showing your syntax in-line—no preview window required. Bear stores all notes in plaintext, which drastically speeds up the app's ability to search and render your content. Organization is a bit different too: It's done through hashtags, which can be deployed anywhere in your note. These hashtags feature on the main sidebar to the left of the app and can be arranged alphabetically, by last used hashtag, or by popularity. Child tags can be created with a slash. For example, you could create a main #personal hashtag, and then use child tags like #personal/receipts and #personal/vacation for deeper organization. Each tag has a customizable TagCon—a small icon used to identify the tag quickly. Choose a TagCon by right-clicking a tag and choosing Change Tag Icon. These tags and child tags are the closest thing Bear has to notebooks, stacks, and sections. To reference notes internally, you can right-click any note and choose Copy Link to Note to get an internal note link that you can use in your other notes. For programmers, Bear features syntax highlighting for over 20 programming and markup languages. 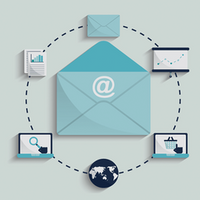 Images can be imported and displayed in-line, and smart data recognition makes your notes more useful by automatically turning elements like hyperlinks and email addresses into clickable links. You can export your notes as HTML, PDF, DOCX, JPG, and Markdown (MD) files. The free version of Bear doesn't include syncing with the iPhone app; for that, you'll need to subscribe to premium. With your subscription, you'll also get further exporting options, and a full set of themes for styling the app to your liking. At present, there is no web version of Bear, though developers have confirmed they are working on it. Bear Price: Free with limitations; $1.49/month for Bear Pro. Simplenote is, unsurprisingly, a simple note taking app. The app doesn't support images or attachments of any kind, instead opting to capture your notes in plain text. It's completely free, and it's well supported, with versions available for Mac, Windows, Linux, iOS, Android, and the web. The only thing you need to use it is a free WordPress account. As a result of the aggressively simple design, Simplenote is the most intuitive app on this list. Like in Bear, there are no notebooks—instead, your note collection is organized by tags that show up in the sidebar on the left. Once you've added a tag to the relevant field at the bottom of your note, it will show up in the sidebar, where it can be reordered using drag and drop. 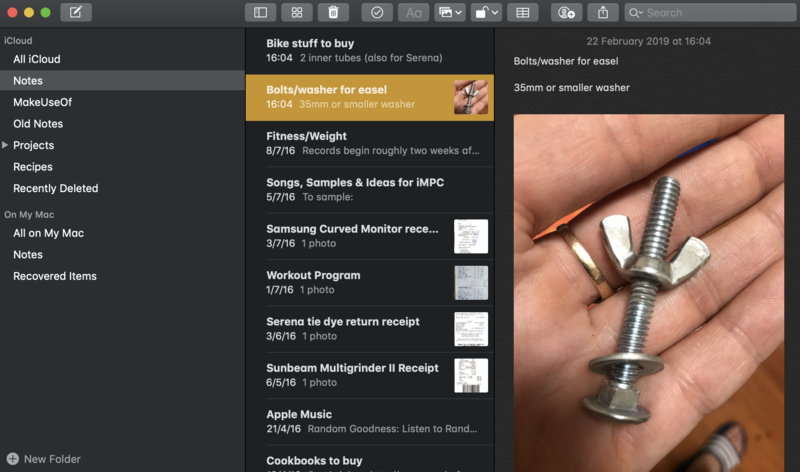 The app interface embraces beauty through simplicity, with full support for macOS dark mode. The focus on clean lines and typography makes Simplenote a pleasant place to spend time while you're taking notes. Notes can be captured in straight-up plain text, or use Markdown to enable formatting. You can enable Markdown preview at any time by clicking the current note's Info button and choosing Markdown formatted. From there, you can toggle between code and preview views using the eye icon in the note toolbar. Notes are synced automatically between the Mac app and any other version connected to your WordPress account. Simplenote is like a cut-down version of Apple Notes, except it works on virtually any platform. The look and feel of Boostnote can be completely customized using themes, which can be applied to the general interface, to the text editor, and to code blocks under Preferences > Interface. Customize virtually every element, from the toolbars and menus, to the way the editor highlights syntax. There are six primary interface themes and over 50 editor themes to choose from. And for ultimate efficiency, the app can be controlled using customizable keyboard shortcuts. Quiver ($9.99) is another Mac note taking app that's aimed at programmers. It uses cells for storing various types of text, including code snippets, Markdown, and LaTeX, within a single note. It's got a lot of the same features as Boostnote including syntax highlighting, multiple theming options, and sync via cloud storage. Quiver also features a web clipper, version control, support for 120 languages, and a presentation mode for displaying notes in a meeting or classroom environment. If Boostnote doesn't quite go far enough, Quiver might be worth the investment. 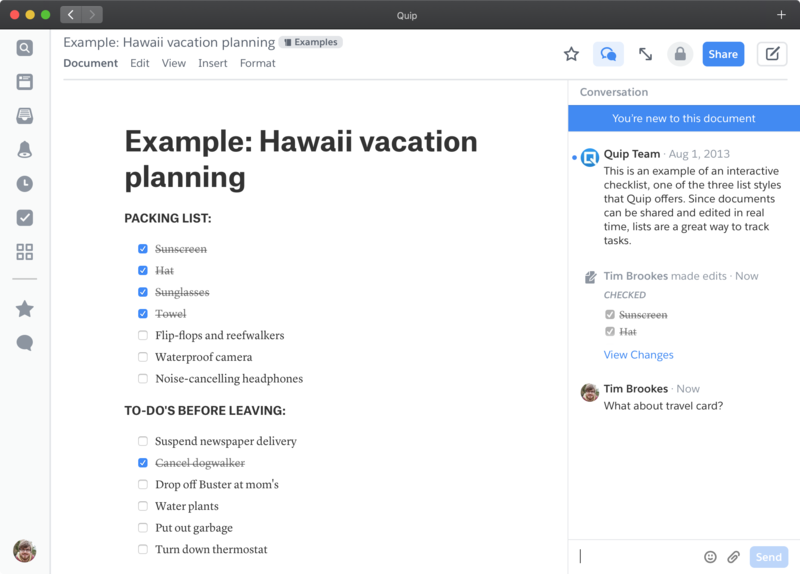 Quip is a feature-packed collaborative note taking platform. The app allows you and your team to collaborate on documents (notes), spreadsheets, and slides (presentations). You can also host chat rooms within the app for a Slack-like all-in-one team organization tool. Plus, you can use Zapier's Quip integration to automatically create and update documents in Quip based on activity in other the other apps you use most. 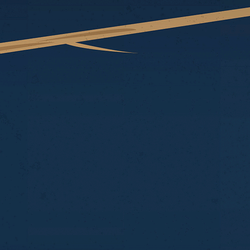 Quip is owned by Salesforce, so it's deeply integrated with the company's primary CRM solution. This penchant for data is seen in the way Quip allows you to incorporate spreadsheet elements within your documents. You can even reference specific cells and data sources to have documents that update in real-time alongside your spreadsheets. Insert other elements like images, kanban boards, or Salesforce records by typing "@" while editing a note and choosing from the list of options. Collaboration allows users to work on documents in unison while communicating with other team members using the chat box to the right of each note. Push notifications with @mentions for specific users help draw attention to relevant parties, and you can assign tasks (or have them assigned to you) and track them under the Tasks area within the app. Set permissions within your organization at group, document, and folder levels to ensure team members have access to relevant information. Quip for Mac lets you do all this and work offline with no issues. Documents are even indexed by Spotlight and searchable alongside your other local files. Quip Price: $30/month for a team of five, plus $12/month for each additional user. Zoho Notebook is perhaps best considered an alternative to Apple Notes owing to its ease of use and limited feature set, with the added benefit of working on non-Apple platforms. You can sync your notes for free by signing up for a Zoho account and logging in, with iOS, Android, and Windows companion apps available. It's built around a simple principle: Every note is a card. Cards live in notebooks and represent different content types. There are text cards, checklist cards, audio cards, photo cards, attachment cards, sketch cards, and more. Each card shows a preview of the type of content stored within, like a to-do list, an audio waveform, or an image thumbnail. And you can create any of these cards automatically from other apps with Zapier's Zoho Notebook integration. You can mix media in a regular text card by adding your own images, multiple audio recordings, a clickable checklist, or attachments to PDFs and other documents. You can add a gallery of images to a photo card, or upload a single PDF into a card of its own, but you cannot mix media within non-text cards. 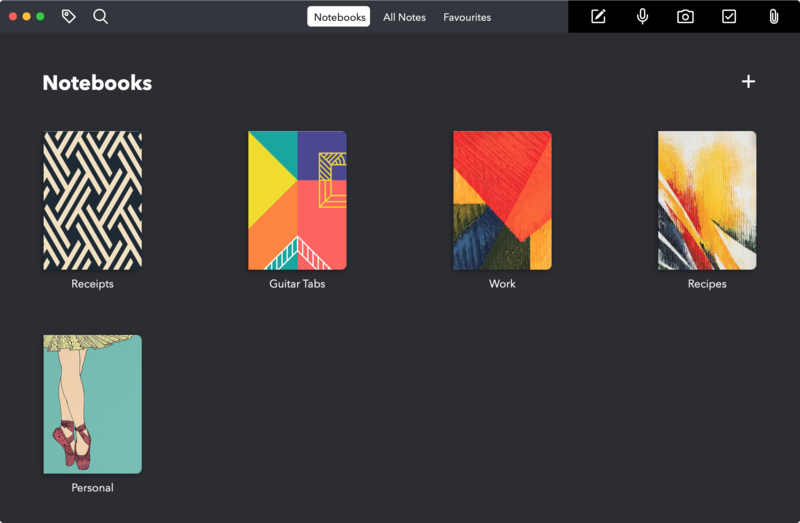 Cards live within notebooks, which you can customize with a cover image of your choice. Add tags to notes by typing a #hashtag and clicking on the tag that appears. You can then filter your notes by tag using the Tag button in the top-left corner. The Zoho Notebook web clipper browser extension is available for Safari, Chrome, and Firefox. It's not quite as adept as extensions for Evernote or OneDrive, and it generates a simplified article view rather than a clone of the web page with all its images and other elements intact. Which Mac Note Taking App Should You Choose? 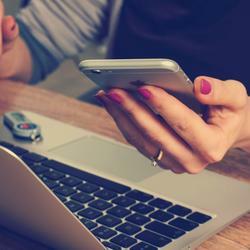 Evernote or OneNote will yield the most feature-rich note taking solution. Both offer collaboration via Evernote's premium Business package and OneNote's Office365 integration, should you need it. For most users, it will boil down to personal preference—or price tag, since OneNote is free. If you don't need all the features, it's up to personal preference. Note taking is a personal activity, so you'll want to test out a few and find the one that feels best. 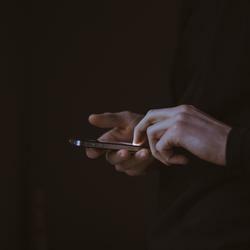 Be sure to think about how easy it is to get information both in and out of the app—as long as it has all the features you need, ease of use is the number one priority.